A lovely walk today at Drymen with a great pack of well balanced, lovely dogs who are a pleasure to walk. 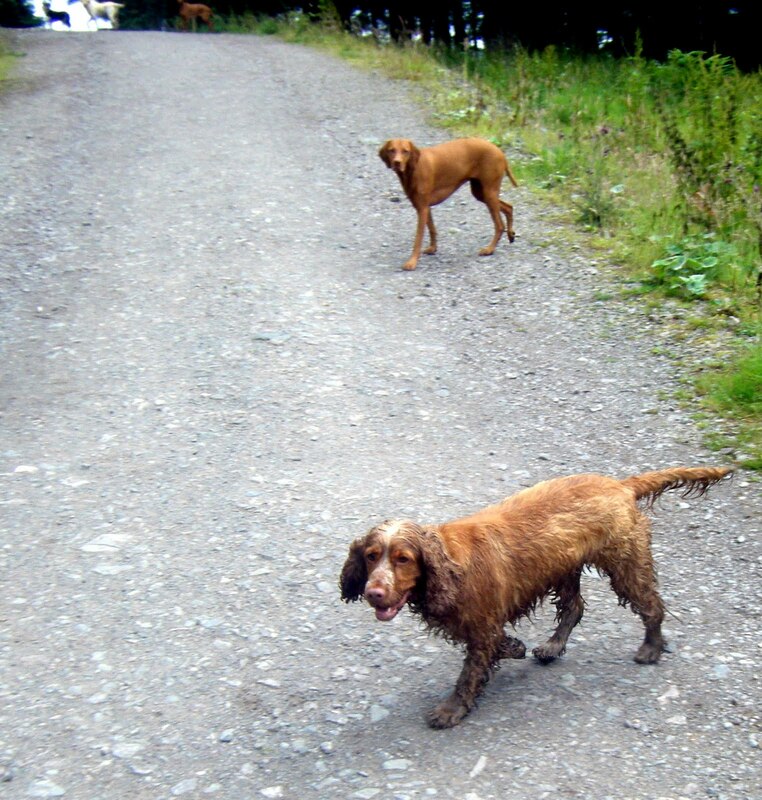 With me today were Holly, Ivy and Boris (the Vizslak), Laddie, Meg and Jude (the Labs), Rocco (the border collie) and Holly (the cocker spaniel) who is pictured here. It is very confusing when you have 2 dogs with the same name, as every time I called “Holly” today they both came running (which is why big Holly is in the background of the photo!). Wee Holly is with me for only 3 days, but I wish it were longer. She is the perfect dog, very mannerly and responsive, and is LOVING her countryside walks, splashing into every bit of water (and mud) that she can find. She makes me smile a lot! !